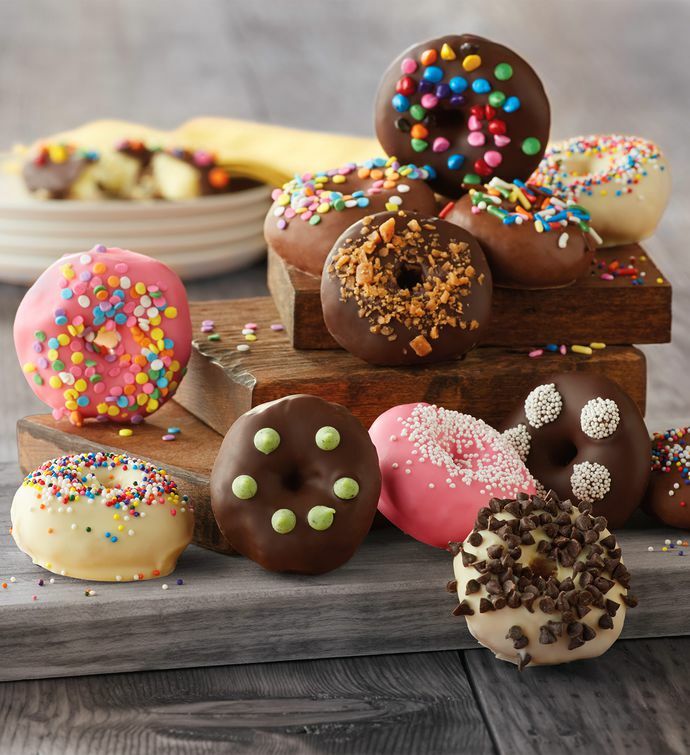 Start the celebration with a box brimming with festive miniature chocolate and yellow cake donuts. A dozen perfect little treats arrive hand-dipped in Belgian chocolate and colorfully decorated by hand. Bright, cheerful, and irresistibly sweet, these gems from the bakery make a warm and welcome gift, and they are the perfect way to start any special occasion.